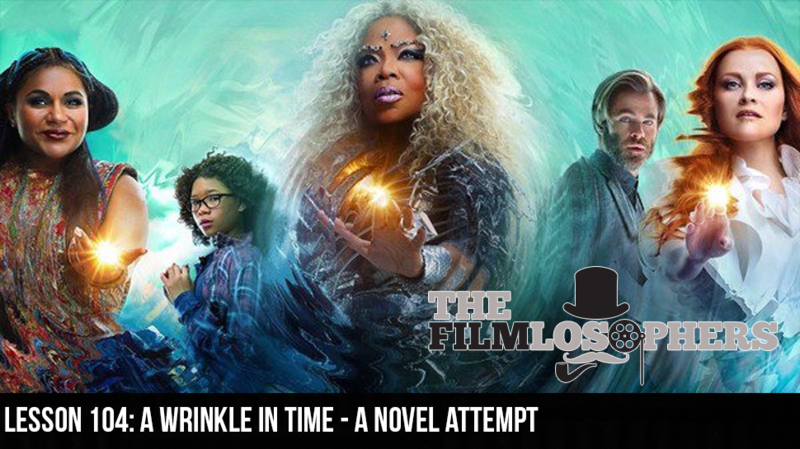 The Filmlosophers, Eddie Villanueva, Chad Riley and Spencer Williams, journey across the multiverse with this week’s review of A Wrinkle in Time (2018), the first child-focused feature film from acclaimed director Ava DuVernay. Starring Oprah Winfrey, Reese Witherspoon, Mindy Kaling, Chris Pine, Gugu Mbatha-Raw and newcomers Storm Reid, Levi Miller and Deric McCabe, the film is a live-action adaptation of the popular children’s novel of the same name. While much of the underlying storyline of the film remains faithful to the source material, a number of elements have been updated and reinterpreted for a modern audience. In movie news, we discuss the Tomb Raider (2018) reboot starring Alicia Vikander.